Builder's Engineer: CONSTRUCTION DETAILS - RETAINING WALLS. The method of construction of MSE walls depends upon the type effacing unit and reinforcing material used in the system. The facing unit which is also called the skin can be either flexible or stiff, but must be strong enough to retain the backfill and allow fastenings for the reinforcement to be attached. The facing units require only a small foundation from which they can be built, generally consisting of a trench filled with mass concrete giving a footing similar to those used in domestic housing. The segmental retaining wall sections of dry-laid masonry blocks, are shown in Fig. 19.12(a). The block system with openings for vegetation is shown in Fig. 19.12(b). (Koerner, 1985) with reference to Fig. 19.14(a). 1. Start with an adequate working surface and staging area (Fig. 19.14a). 2. Lay a geotextile sheet of proper width on the ground surface with 4 to 7 ft at the wall face draped over a temporary wooden form (b). 3. Backfill over this sheet with soil. Granular soils or soils containing a maximum 30 percent silt and /or 5 percent clay are customary (c). 4. Construction equipment must work from the soil backfill and be kept off the unprotected geotextile. The spreading equipment should be a wide-tracked bulldozer that exerts little pressure against the ground on which it rests. Rolling equipment likewise should be of relatively light weight. 5. When the first layer has been folded over the process should be repeated for the second layer with the temporary facing form being extended from the original ground surface or the wall being stepped back about 6 inches so that the form can be supported from the first layer. In the latter case, the support stakes must penetrate the fabric. 6. This process is continued until the wall reaches its intended height. 7. For protection against ultraviolet light and safety against vandalism the faces of such walls must be protected. Both shotcrete and gunite have been used for this purpose. 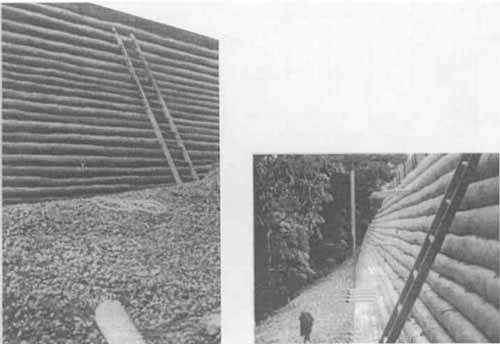 Figure 19.14(b) shows complete geotextile walls (Koerner, 1999).